NEW DELHI:Delhi based office furniture manufacturer Indo Innovations said that it has launched their premium bistro seating range in India. 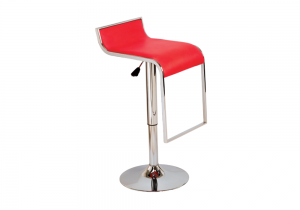 The new premium and modern range of bistro furniture is made of high quality and durable material like MS chrome and has plush upholstery. Each piece of seating furniture in the range has various ergonomic features like comfort, colors, cushioning as well as style quotient. The chairs and stools have varying sizes, shapes, finishes, fabric options and seating capacities which enhance the look of every possible setting. Moreover, customers can also use the furniture from this range to create a theme as per their preferences. 2. Sizzle: A modern chair made of MS chrome with a PP seat. 3. Wench: A classic chair with a MS chrome body and options in PP as well as a wooden seat.